Rediff.com » Movies » Who should have got the girl/guy? YOU PICK! Who should have got the girl/guy? YOU PICK! The right person always wins in Bollywood's love triangles. But just that once in a while, we feel the jilted lover should have got his way. 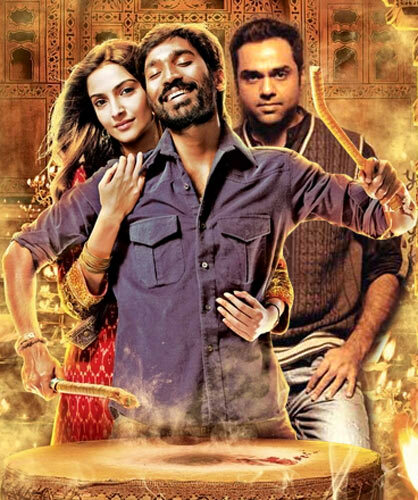 Tamil actor Dhanush, whose performance in his Hindi film debut Raanjhanaa emerged with the most approval ratings from fans and critics alike, plays a small town guy named Kundan, who's repeatedly jilted by his object of affection. His ladylove Zoya (Sonam Kapoor) thinks it's beneath her to forge a relationship with someone like Kundan and seems to favour Abhay Deol's character. Vote for your favourite contenders, as we look at Bollywood's most recent love triangles! Who do you think deserved Zoya's affection more? Yash Chopra's swan song, released last year, is about life choices and faith. Samar Anand (Shah Rukh Khan) is in love with London-bred Meera (Katrina Kaif) but the lovers go their separate ways following a life-altering accident. Enter Akira (Anushka Sharma), a documentary filmmaker who loves Samar but ends up reuniting the estranged lovers. 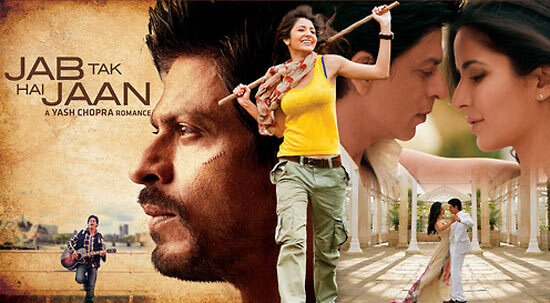 Who do YOU think Shah Rukh's Samar should have ended up with? VOTE! In Karan Johar's school romance Student Of The Year, Rohan (Varun Dhawan) and Abhimanyu (Siddharth Malhotra) play friends, who have a very prominent competitive streak in them. While prepping for the coveted prize, Abhi falls for Rohan's girfriend Shanaya (Alia Bhatt) and what happens in the end is anybody's guess. Who do YOU think should have ended up with Alia Bhatt's Shanaya? VOTE! The adorable Barfi's (Ranbir Kapoor) two fleeting romances leave us wishing a happily ever after for him. But while his first love Shruti (Ileana D'Cruz), despite having feelings for him, goes on to marry another man, Jhilmil gets married to Barfi. Who do YOU think Ranbir's Barfi should have ended up with? VOTE! Bipasha Basu's Shanaya is in touch with her dark side and will go to any extent to get rid of her arch rival Sanjana (Esha Gupta), a naive upcoming actress who poses a threat to Shanaya's career. Her repeated attempts to harm Sanjana fail, and her former lover, director Aditya (Emraan Hashmi) leaves her for Sanjana. Who do YOU think Emraan's Aditya should have ended up with? VOTE! After endless intimate scenes, songs and a love triangle involving the trio, the movie ends on a rather dark note. Who do YOU think Sunny's Izna should have ended up with? VOTE! In Homi Adajania's Cocktail, Gautam (Saif Ali Khan), quite predictably, chooses the docile and conservative Meera (Diana Penty) over the fiercely independent and vivacious Veronica (Deepika Padukone). The film's ending sparked a debate among young urban viewers. Who do YOU think Saif's Gautam should have ended up with? VOTE! Before the sensational Silk (Vidya Balan) meets a tragic end, she courts quite a few men in her lifetime in Milan Luthria's The Dirty Picture. The conceited superstar Suryakanth (Naseeruddin Shah) and idealistic filmmaker Abraham (Emraan Hashmi) feature as the two prominent men in her life. Who do YOU think Vidya's Silk should have ended up with? VOTE! Kush (Imran Khan), who sets out on a quest for a bride for his brother Luv (Ali Zafar), finds an ideal match in Dimple (Katrina Kaif) but ends up falling in love with her. A mushy story of love conquering all, although Dimple has to choose between the two brothers, the protagonists walk away with a happy ending. Who do YOU think Katrina's Dimple should have ended up with? VOTE! Divya (Kareena Kapoor), a college student falls in love with her bodyguard Lovely (Salman Khan) but gets a raw deal in this love story when her best friend (Hazel Keech) walks away with her dream man. But that's just the first half of the film. Who do YOU think Salman's Lovely should have ended up with? VOTE! The mild-mannered Manu (R Madhavan), a doctor in the UK, briefly returns home to get married. He meets the firebrand free spirit Tanu (Kangna Ranaut), who is secretly seeing a local goon named Raja (Jimmy Shergill). The good guy eventually wins, after a highly praised climax in yet another Aanand L Rai romance drama. Who do YOU think Kangna's Tanu should have ended up with? VOTE!